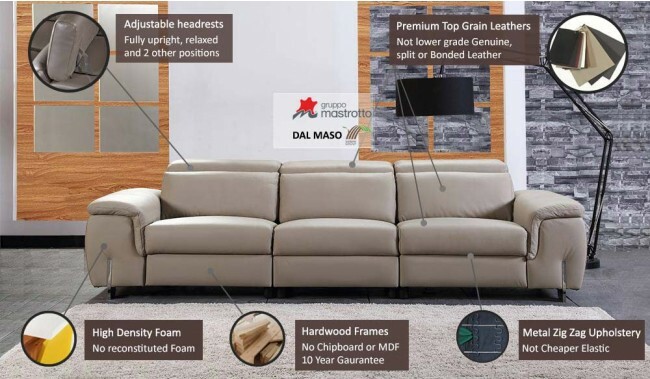 The Monza 4 seater electric recliner sofa offers the ultimate in relaxation and comfort and available in luxury top grain Italian leathers including Mastrotto brand Italian leather. Available in luxury top grain leathers and manual adjustable headrest. All headrests are manual adjustable height to 80cm when down to 104cm when fully upright.